1. Well, yeah…Beer–obviously! And though you’ll really want to try all the Beers at the CIBF, there are over 500, so trust us… you won’t! 2. To break that Spring fever – Over 40,000 people pass through this Beer Fest’ over the course of the weekend; if you feel like crowds are daunting, remember there’s a reason why they call beer, “social lubricant” — do it, show me what you got! 3. To get your MBA (Mastery of Beer Appreciation) and be an offical beer Geek at ATB’s Beer U. Finally – someone understands that beer and school DO go together! 4. The Calgary International Beerfest is a BIG event; like, top 10 IN THE WORLD…so don’t miss out because you feel like being a Debbie Downer. 7. The food…stellar, as in inter-stellar, like, totally out of this world! 8. JustBeer — the official #yycbeerfest App! Get to Beer Fest, check in on JustBeer, and get the enhanced Beer Fest experience!!! Enter “justbeer15” at checkout for a 15% discount off your tix. 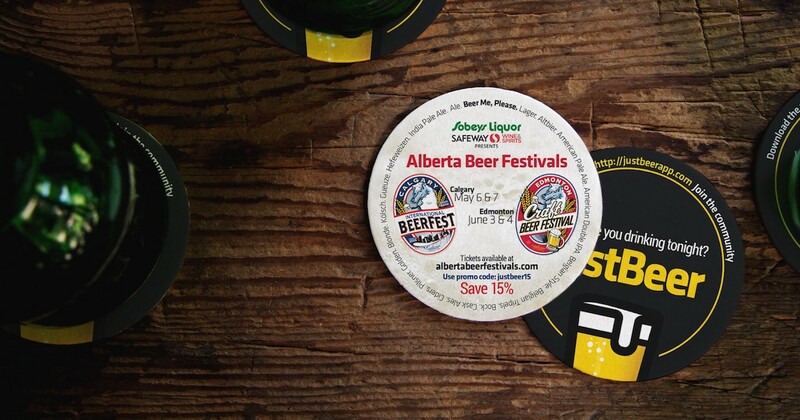 Learn More for about Alberta Beer Festivals and their events. Beer, bed, and brunch. Can you think of a better trio? The Drinkle will be Calgary, Alberta’s first craft beer hotel. The 2017 Banff Craft Beer Festival is more than just great spirits, great food and great beer – it’s a chance to dive into the past, to seek new discoveries, and most importantly – it gives you the opportunity to choose your mountain adventure! Beer lovers UNITE! Join Beer Canada and beer fans across Canada to prevent another hike in beer prices. Tell the federal government how you feel about their increasing federal taxes on beer. Need more info before you sign the Axe The Beer Tax Petition? Get it right here! True summer is over, but it’s no reason to pout because in October…Winter is Here!